I have pondered for some time how best to approach this topic, “The Rise of Feminine Energy”. There is much background to this story, much her/his-story leading to our current point in evolution on planet earth. I want this to not appear to be so complicated. I want to simplify a complex topic yet i must show the complexity in order to reach the simplicity of how the Feminine Aspect of Creation has been so thoroughly hidden yet is so immensely critical to who we are today and what we must become. 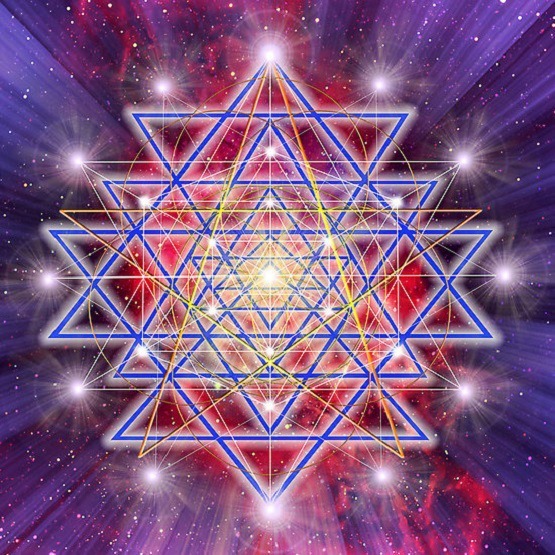 The return of goddess consciousness has begun and is being played-out across the globe. Yet how often have you stopped your personal pursuit of survival, comfort, and your personal quest for completeness, in order to ponder why this rise of the female aspect is becoming so prominent and why it is happening at this point in time? You certainly have been aware of the centuries of suppression of women around the globe. So what has finally sparked a move toward change? What is the basis and origin for this moment in human herstory? The answer will not be found in the consumer media or popular books, and certainly not in main-stream religious, political, or social groups. The answer is intentionally hidden in the obscure story of the evolution of the inhabitants on Mother Gaia, in her-story, and in the history you were never taught in main-stream life. Though this is a brief introduction to a complex topic, you will come to more understanding as you continue your own journey in evolution. God and Goddess are One. Your essence from Prime Creator combines both of these energies yet the concerted and successful effort to obscure this fact has led to the history we know and has subverted the writing of a totally different story for humanity. There is a global aspect to this story and also there is a story being played out at the personal level – each affecting the other, for As Above so Below, so in the Macrocosm as in the Microcosm. On the global level, little known is the fact that many false claims have motivated many wars, and that many of these wars have actually been (and are currently being) fought for the purpose of keeping feminine forces suppressed and to keep the feminine aspect obscured, hidden and denounced. Logic must then lead one to know that an immensely powerful force is at stake, — one having the ability to change the course of human history. As our human bodies have energy centers, likewise earth (Mother Gaia) as a living soul has energy centers. Grids, Lay Lines, and Vortexes are some of the ways in which energy is conducted throughout the earth. And those areas where the feminine energy runs strongest are areas where deep conflict has existed and where war is being fought for good or evil use of energies that effect human consciousness. On a personal level your pursuit for comfort and happiness includes fulfilling a need to feel complete. And most often that need for completeness is played-out in a quest for a partner in life. That commonly casual reference to some person as being your “other half” actually foretells a truth that is little known – you really do have an other-half. You have purposely been separated from the twin of your soul. Your feminine and masculine aspects have been separated at the soul level, thus creating constant conflict within the self and conflict between men and women in humanity. This intentional separation keeps human society in turmoil much like the wars being fought to suppress the feminine energy of Mother Gaia. The remaining question now becomes, “Why has it been so important to certain ones that they suppress and control feminine energy?” The answer is in the fact that he who controls this energy controls humanities’ consciousness. And this is where the topic becomes more complex. In future postings these issues will be looked at more closely. 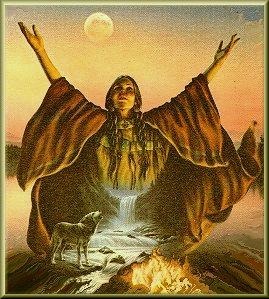 As the energies of ascension continue to rise so will the consciousness of the human population rise and awareness of the goddess energy will be felt, nurtured and appreciated beyond measure. It is this evolution beyond the 3rd Dimension that will halt the wars and the many ills that affect human society. 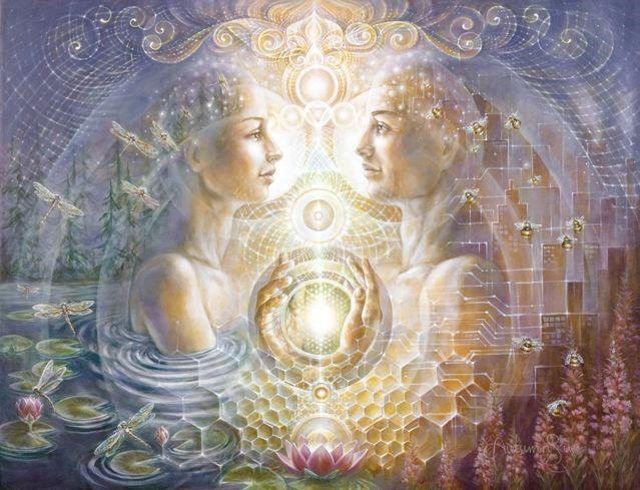 The balancing of feminine energy with masculine energy is an integral part of this transition beyond 3D. We have been living with a paradigm of Power Over Others. The new paradigm will be all about Power Within Self.